Dermatitis is a condition of the skin where the tissues become inflamed and redness is seen in and around the affected area. This is accompanied by severe itching of the skin. The inflammation of the skin is caused due to allergic reaction, contact with certain metals, chemicals, perfumes, paints etc. Dermatitis can often be also caused due to genetic reasons and can be hereditary in nature. There are many types of dermatitis like ectopic, herpetiformis, seborrheic, perioral etc, with different kinds of signs and symptoms. Maintaining proper balance of vitamins and minerals in the daily diet can reduce the instances of dermatitis to a great extent. External and internal use of herbs is also a very effective way of treating dermatitis. Chamomile is a very popular herb used for treating dermatitis. Chamomile is very helpful in diminishing the inflammation of the skin and provides relief against severe itching. Chamomile can be used both internally and externally to fight against dermatitis. Chickweed is yet another very powerful herb used for curing dermatitis. Chickweed helps in reducing the skin inflammation, is effective in soothing rashes and also helps in reducing the itchiness of the skin. Chickweed ointments are easily available and are great in soothing the irritated skin. Marigold or Calendula is another widely used herb in providing relief against severe itching caused due to dermatitis. Calendula ointment and tincture helps in reducing the redness of the skin and helps in soothing the irritation of the skin. It is especially recommended in dermatitis caused as a side effect of radiation therapy. Licorice root has been renowned for its medicinal properties since ancient times. Licorice helps in reducing inflammation of the skin and provide relief against dry and itching skin. These properties of Licorice makes it a much sought after herb for fighting against dermatitis. St John’s wort is a herb which is very popular for its medicinal properties. St John’s wort has antiseptic properties which makes it a very effective herb for curing dermatitis. The salve and ointment containing St john’s wort is very soothing when applied to dermatitis affected area of the skin. Sarsaparilla is a herb widely used in providing relief against the common symptoms of dermatitis. The root of Sarsaparilla when taken internally, in form of tincture, helps in reducing the skin inflammation and provide relief. 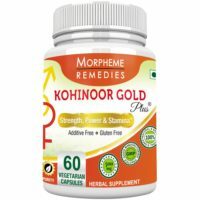 It is can also be applied externally in form of creams and ointments. Marshmallow is yet another herb which is very effective in treating the skin condition called contact dermatitis. Marshmallow paste when applied externally, provides immediate relief to the inflamed tissues of the skin and soothes the itchiness. Witch Hazel is a herb famous for its medicinal properties used in treating various ailments. It helps in reducing inflammation, acts as a very powerful astringent and is antiseptic in nature. 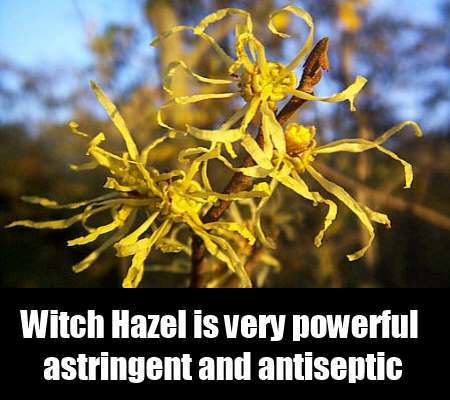 All these properties of witch hazel makes it a popular herb in the treatment of dermatitis when applied externally. Goldenseal is a very useful herb in providing relief against dermatitis. Goldenseal paste can be used externally on the affected skin area to sooth the inflamed skin tissues. The goldenseal paste becomes more effective when used in combination with oil of Vitamin E and honey. The root of Oregon grape has great medicinal properties and is very effective in treating dermatitis. Oregon root when consumed internally, helps in removing the toxins of the body and reducing the inflammation of the tissues.